We are interested in the process of art making. Due to large numbers of applications, we only respond to successful candidates. Successful artists might have to wait weeks or even months to be featured as we only feature one artist per week. An unsuccessful application does not necessarily mean that we don't like the work or that you work isn't good enough, it might simply mean that the work does not fit in the work CWCA is interested in. 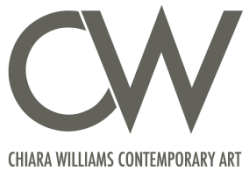 Send it via email to chiarawilliamscontemporary(at)gmail.com and put STUDIO VISIT in the header of the email, please.